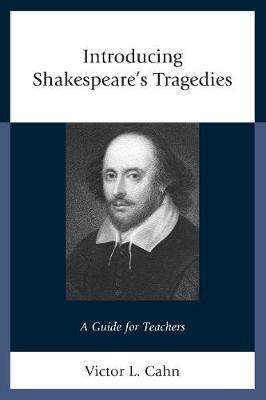 This stimulating and accessible book is intended for instructors at the junior high school, high school, and undergraduate levels who present Shakespeare's most familiar tragedies to students who are largely unfamiliar with them. Acclaimed teacher of drama Victor L. Cahn begins with a general introduction, then examines six of Shakespeare's tragedies: Romeo and Juliet, Julius Caesar, Hamlet, Othello, King Lear, and Macbeth. With attention always directed towards inspiring student interest and response, Professor Cahn provides an overview or "spine" for each work, then proceeds scene by scene, focusing on salient characters, details of language, and major themes. The volume not only is entertaining and clear, but also raises provocative points of interpretation as well as numerous questions for discussion. Underlying the project is the conviction that although the plays are most effective in performance, they can nonetheless prove compelling in the classroom, where students can appreciate that although these works are set in a distant time and place, their issues and implications remain universal.